You probably wonder whether you need Bugsee and is it any good? Well, let me try to address these here. Have you ever wondered how your users get to a certain state in your app? Have you ever tried to recreate an intermittent bug? As developers, we deal with these types of issues on a regular basis. That’s where Bugsee can help. Similar to a black box on an airplane, Bugsee records a video of user’s actions (and touches) at all times, and when a problem happens, you already have a recording of everything leading up to it. So no need to recreate anything. Ever again! Bugsee is the only solution that allows app developers to continuously record high resolution 10 frames-per-second video of usage in live apps. Now, there are other solutions out there on the market that claim they have video, but details do matter. Some offer one-frame-per-second and low resolution solutions. Some require you to enable the video once you see the bug and then try to recreate the issue. Others slow down the UI or use private APIs that prevents you to ship the app to the App Store. So yes, other solutions do offer video in their bug and crash reporting solutions, but they offer is simply not enough. So how do we do it? 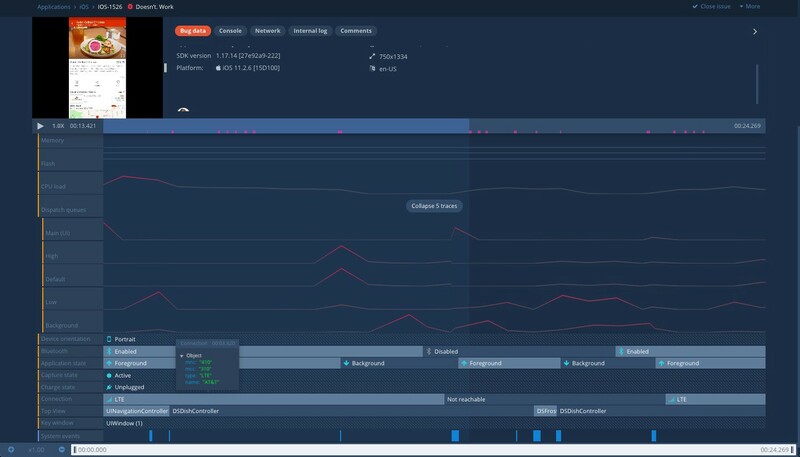 At Bugsee we’ve developed our own IP methodology for recording video in live apps without slowing down the UI, following all App Store rules and adhering to all thread-safe protocols. Developers often put a lot of logging directly into their code. This helps with debugging the problem that might arise in the future. 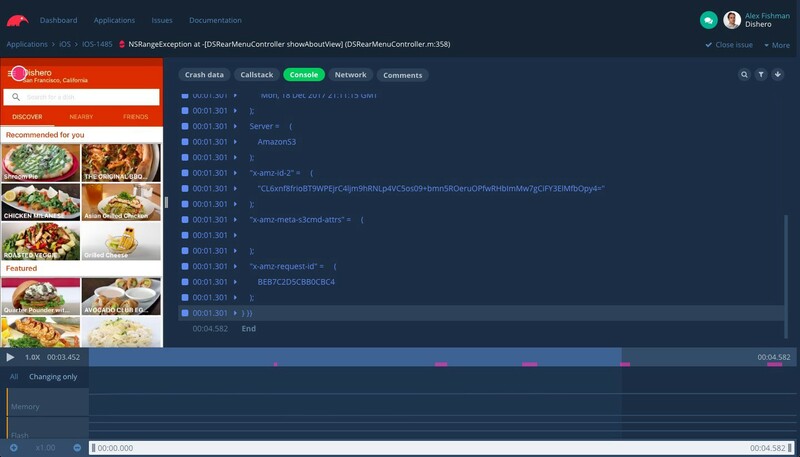 Bugsee continuously records all the console logs and shows them to you, synchronized to the video. This way, you’d know what the user had been seeing, where they were clicking and what your app was doing at the same time. 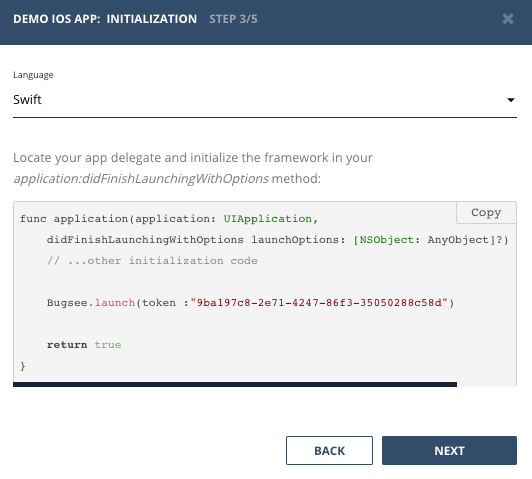 By the way, did you know that Bugsee is the only solution that records console logs in production apps on iOS? Yes, on iOS 10 and iOS 11 as well. Yes, prints from Swift are also captured! If you see it on the Xcode console while debugging, you will see it captured by Bugsee. Again, we developed our own IP to properly handle this. Sometimes issues in the app arise from an unexpected network call response. Wouldn’t it be useful to see all the network calls, responses and their bodies? That’s exactly what Bugsee is doing — we record all the network calls, to yours and 3rd party servers, including the body of the request. Again, everything is synchronized with the video of the user’s actions. And if there is a problem — you get to see whether Uber’s servers indeed came back with a proper response. What if the phone’s network was off for a moment, and that was reason for your app’s crash? Or the user turned off the bluetooth chip? Or the app crashed in the background? Trying to guess and recreate the same scenario in the lab is quite unrealistic. 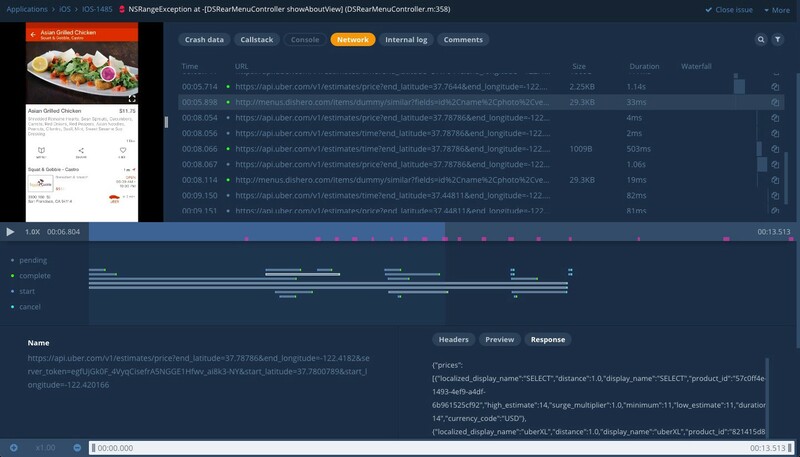 Every report by Bugsee includes dozens of system traces (60 seconds prior to the issue) — so you know what had happened right before the crash. When we just got into the space, we thought crash symbolication is something you just have to do. We doubted there was anything to improve there. But over time, we were able to beat everyone in the market in properly converting the crash reports into the actual file names and line numbers of the root cause. Our direct competitor — HockeyApp (owned by Microsoft) runs a website CrashProbe that compares the quality of various solutions’ symbolication skills (there are 22 types of different crashes on iOS on 2 platforms — 32 and 64 bits, so 44 different cases). HockeyApp built that site because they were always number one on the list. Until we’ve submitted our results in Dec/2016 and got 3 additional crashes right. See our original post here. Afterwards, the game escalated and everyone tried to improve their symbolication and as of today, we share the crown with HockeyApp with 39 correct symbolications. 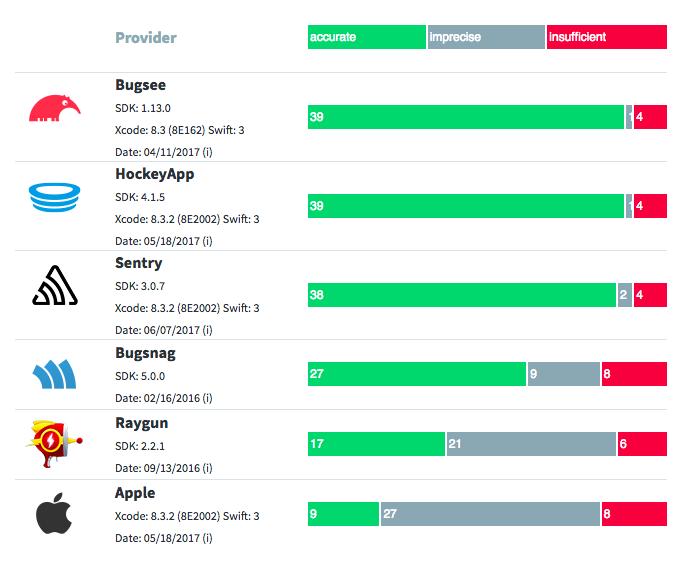 Every issue reported in Bugsee can be automatically propagated to your preferred bug-tracking and collaboration tools. We support 24 different vendors, including Slack, Jira, Asana, GitLab, Zendesk and many more. How Do I Know What I’ll Need To Debug The Next Issue? You don’t have to worry about it. Bugsee will automatically track everything that is happening with your app at all times. And when time comes — we will have all the crucial data for you in an easy to use dashboard. Is It Easy To Add Bugsee To My Project? You bet! It is one line of code. Literarily. More details here — iOS and Android. What if the Beta user wants to report an issue with the app? What if the Product Manager identified an issue with the app while at lunch? When Bugsee is installed, shake or screen-shot the phone and we will receive a report of video, network and logs leading up the problematic moment, with all system information (version, build, etc). Or wonder what the user did to get to a certain screen? Use our APIs to trigger an upload of our video report, without crashing the app or prompting the user. Super useful in UI/UX research, as well as identifying unexpected code execution flow. Privacy is crucial aspect of everything we do these days on the internet. We get it. Bugsee will automatically remove all the passwords and credit cards from the recording, while still on the phone. So nothing is ever hitting our servers. Plus, we offer a range of APIs to control filter other PII in video, network and logs. Also, we offer reduced resolution recording mode, where the recorded video is sufficient to understand the flow, but the text is illegible. Our customers in the medical space are using this option. Bugsee was recognized by Gartner as a Cool Vendor in 2017 in DevOps category. We are proud to share a position on that list with our friends at LaunchDarkly and with the titan named Slack. Best Crash Reporting by SD Times. Bugsee Customer Reviews on G2 Crowd. We do not analyze, aggregate or sell your data. Your data is your business. Our business is to provide you with the top notch bug and crash reporting tool. And that’s all. We do not monetize your users’ data in any shape or form. Period. What Platforms Do We Support? Using something else? Let us know and we’ll look into it ASAP. We are a small company and thus we will work around the clock to win your business. Email me directly with your questions or feature requests. We do not charge per event, per bug, per app, per seat or team-member. We charge only by how many active devices Bugsee is deployed on. Which we believe is fair — we scale with your business. 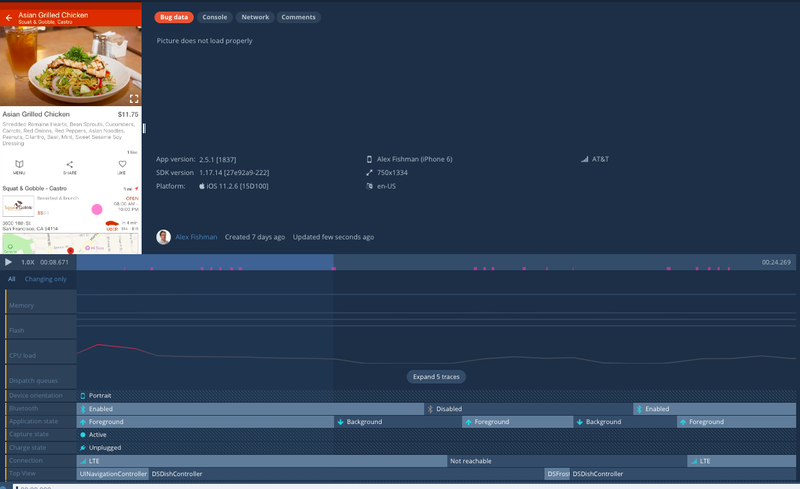 Try Bugsee free for 30 days. You check our demo here. How This Post Came About? When people first hear about a new product they frequently ask if it is any good. A Hacker News user remarked: ‘Note to self: Starting immediately, all raganwald projects will have a “Is it any good?” section in the readme, and the answer shall be “yes.”’. Same as GitLab, we too were inspired by that and decided to add a similar post to our blog. PS: Oh yeah, and we’re funded by K9 Ventures, the same guys who brought you Twilio, Auth0, Carta (eShares) and Lyft. 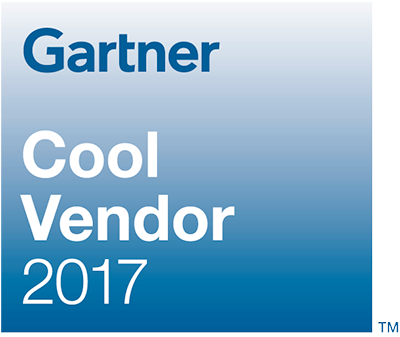 Disclaimer: The Gartner Cool Vendor Logo is a trademark and service mark of Gartner, Inc., and/or its affiliates, and is used herein with permission. All rights reserved. Gartner does not endorse any vendor, product or service depicted in its research publications, and does not advise technology users to select only those vendors with the highest ratings or other designation. Gartner research publications consist of the opinions of Gartner’s research organization and should not be construed as statements of fact. Gartner disclaims all warranties, expressed or implied, with respect to this research, including any warranties of merchantability or fitness for a particular purpose.